Good coffee begins with good beans. The owner of Buddy Brew, a local coffee shop in Tampa, taught me the difference between Robusta and Arabica beans. You want to buy and use Arabica beans. Trust me. Guess who uses Robusta? Folgers, Maxwell House and other big, commercial and inexpensive coffee companies. Why? Because the beans are cheaper and they have a higher caffeine content. What’s the biggest downside? 1. It will make you more jittery 2. They’re more acidic, so you’re more prone to stomach aches and 3. You will have a bigger crash after the caffeine wears off. Read the label. The next important thing is to buy whole beans and grind them yourself. It adds 30 seconds to your process and a lot more flavor. Most coffee websites recommend a burr grinder. You can find an inexpensive one that will last like this one. Blade grinders will work and cost less, but it’s best to grind your beans consistent (and only a burr grinder can do that). Scoop the ground coffee into your french press. Yes, use a french press. If you’ve never used one before you will thank me. It will taste better than anything you’ve ever had from a drip coffee maker. You can spend a little or a lot. I’d start with one of these from Bodum. You can find them at Target. I have a coffee scoop, but go for about 1 TB spoon per cup of coffee you’re making (8 oz.). Use filtered water if you can and heat it in a tea kettle. You want it to come to almost boiling, but not quite. Pour over your coffee grounds. Stir a few times around with a long spoon. Leave cover off while it’s steeping. Set a timer for 4-5 minutes. Test it it for your preference. Don’t go longer than that or it will get bitter. Plunge your coffee. Pour into coffee mugs. Enjoy! And just for fun… if you think this sounds expensive. Let’s pretend you stop by Starbucks at least 3 days a week for coffee. That’s roughly $8 / week x 52= $416. French press = $30. Grinder = $50. 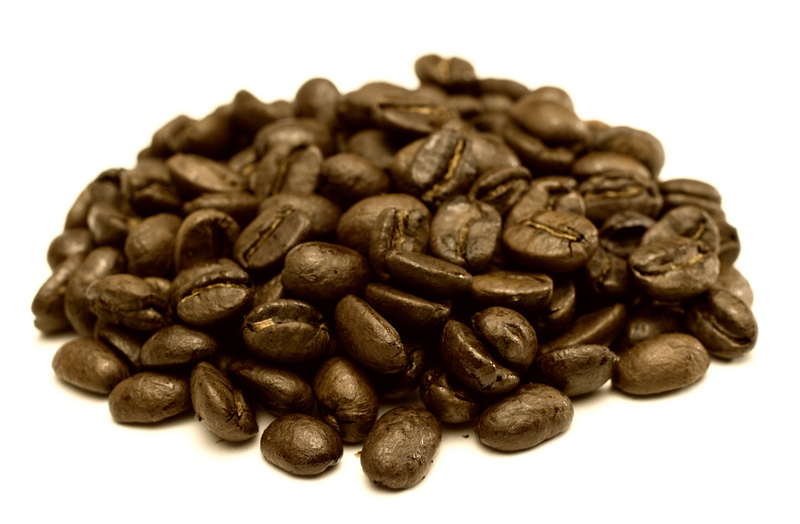 Good quality coffee beans = $12 / pound (good for about 14 cups) = $312 / year (you can find less expensive, quality beans too). Total would be $400 / year for more coffee and better tasting than stopping by Starbucks. This entry was posted in Main, Tools and tagged Coffee, French press. Bookmark the permalink. ← Who Doesn’t Like Kale (Chips)?